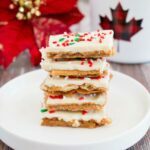 Light and crispy saltine crackers surrounded by a buttery toffee and topped with creamy white chocolate all make this little treat absolutely addictive! 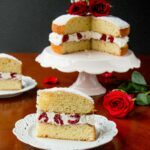 You won’t be able to just have one. Today I flipped the calendar and I can’t believe it’s December already. Twenty-four days till Christmas and another year is almost over – yikes! Anyhow, it’s time to start the Christmas baking and it wouldn’t be Christmas season without Christmas Crack. This year I decided to make a white chocolate version just to change things up. 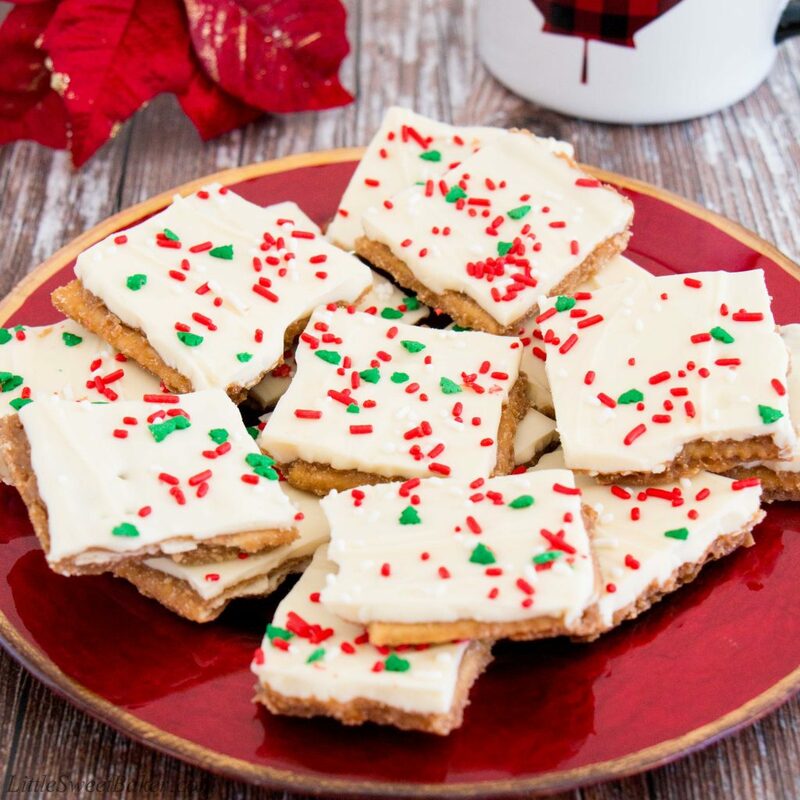 And for those of you who prefer white chocolate, this recipe is perfect for you because you still get all the deliciousness of the saltine cracker toffee, but with the softer taste of white chocolate. 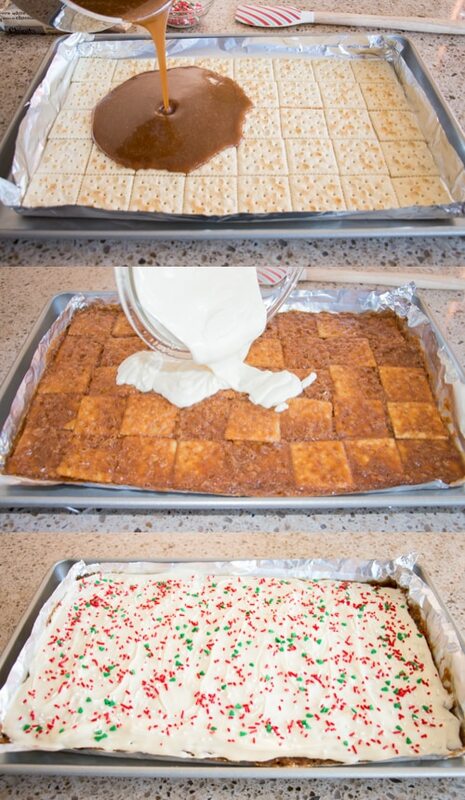 Making Christmas crack is so easy. All you have to do is cook up some butter and brown sugar over the stovetop. 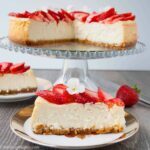 Pour it over saltine crackers, bake it for 5 minutes, then spread some melted white chocolate over the top. I always like to add some festive sprinkles because it just makes it look a whole lot prettier, don’t you think? This amazing saltine cracker toffee is called crack for a reason: it’s so addictive! You won’t be able to resist the sweet-buttery toffee and light-crispy crackers with the taste of creamy white chocolate on top. 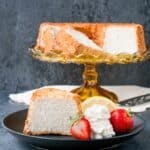 Trust me, you will not be able to stop eating it. 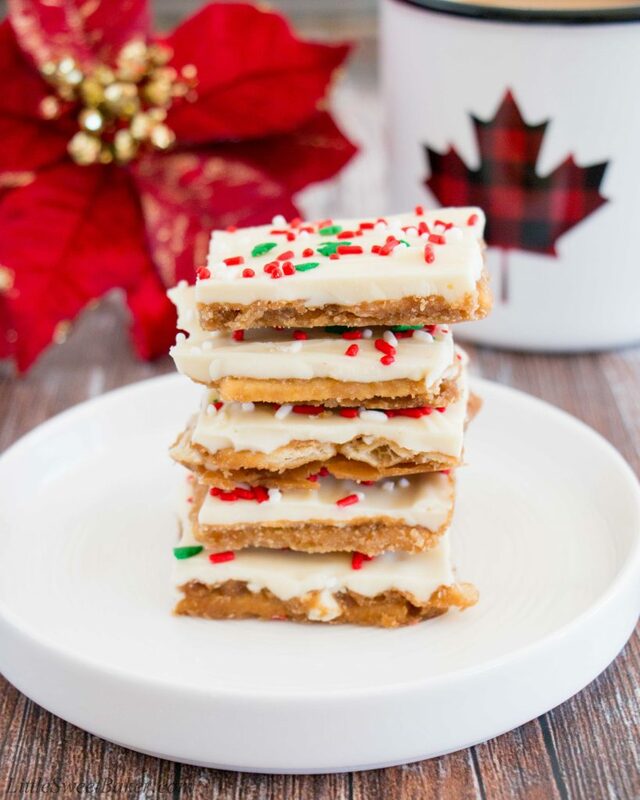 Light and crispy saltine crackers surrounded by a buttery toffee and topped with creamy white chocolate all make this little treat absolutely addictive! Preheat oven to 350F. Line a large baking sheet with aluminum foil. Spread the crackers out on the foil in a single layer and fold up the edges of the foil to box in the crackers. Set aside. In a small saucepan, melt the butter and brown sugar over medium heat on the stovetop. Simmer for 5 minutes, stirring constantly. Immediately pour over the crackers and spread to cover completely. Bake for 5 minutes in the oven. Set aside. Melt the white chocolate chips and coconut oil over the double boiler, stirring constantly until completely melted. 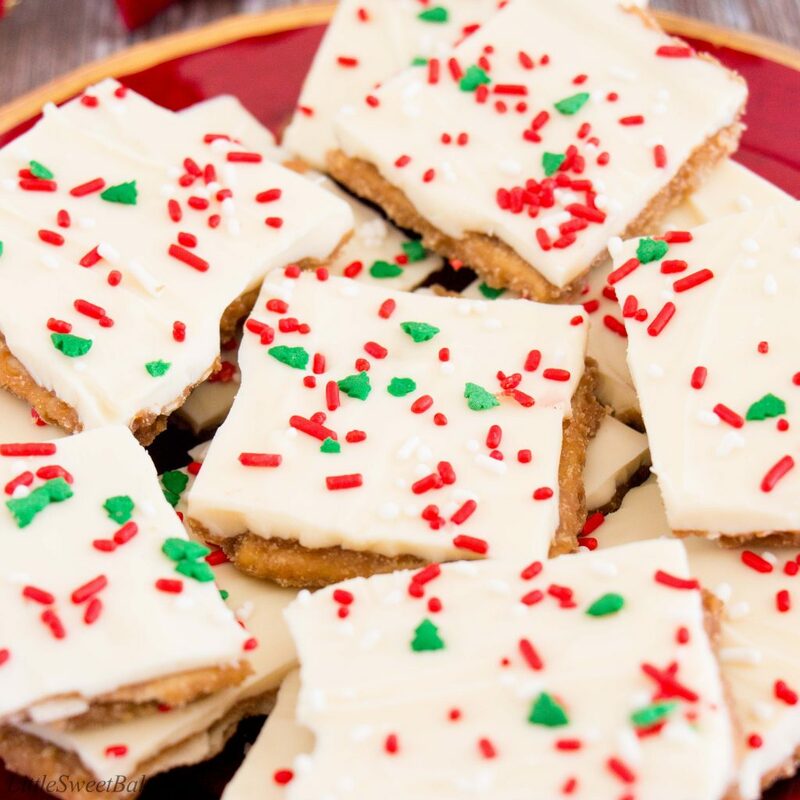 Pour half of the melted white chocolate over the crackers and spread into an even layer. Let stand for 1 minute. Spread the rest of the melted white chocolate on top. Top with sprinkles or any additional toppings if desired. Chill in the refrigerator for about 2 hours to harden. Peel away the foil and break into pieces. You can store this toffee in an airtight container at room temperature for up to 1 week or in the fridge for up to 2 weeks. You can also store in ziplock bags and freeze up to 1 month. 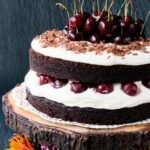 You might also like my original Christmas Crack recipe made with milk or semi-sweet chocolate.